The Ryman Auditorium in the heart of downtown Nashville, Tennessee has a rich history like no other. Most artists who have an opportunity to perform there consider it an honor. On Saturday July 21, 2018 Madison Cunningham shared that she was "spoiled to be here two nights." Even this young singer/songwriter from California understood the significance of her slot at the revered venue. The room is also well known for its acoustics which works well for solo artists such as Madison. Californian Madison Cunningham was immediately intriguing in Music City. Cunningham received a warm welcome from the already crowded room. 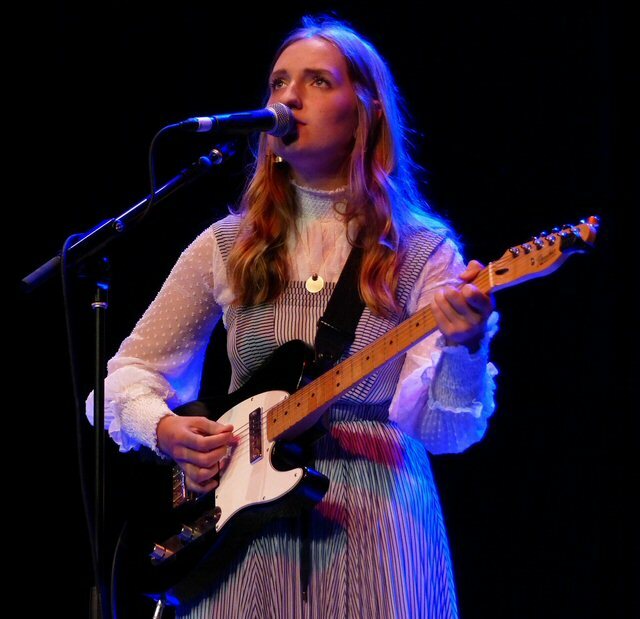 Madison's music and presentation reminded us of Joni Mitchell with an electric rather than acoustic guitar. The instrument gave more edge and effect to Cunningham's insightful lyrics. With her first song Madison had grabbed and then held the attention of the audience which is not always easy for an opening act to accomplish. Yet, she engaged folks with "When Love Loves Alone" featuring startling storytelling punctuated by low key but effective electric leads and rhythms. The reflective "I Close My Eyes" was eloquent allowing Madison to demonstrate her depth as a singer. Cunningham was also agile on the axe often melding multiple parts to fill out her sound. After thanking the crowd she closed with the compelling "Something To Believe In" another thought provoking tune that revealed a maturity well beyond her years. Cunningham who is scheduled to play a select number of dates with the Punch Brothers delivered the first mesmerizing punch on Saturday night. 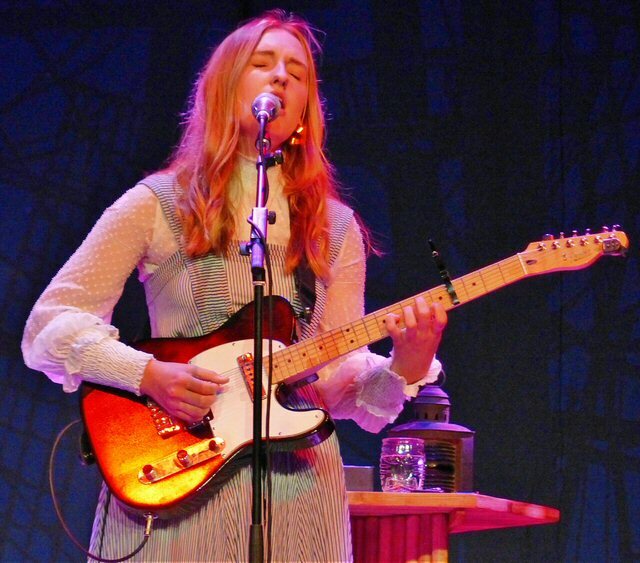 Madison Cunningham - influenced by jazz and Joni Mitchell. The dapper Punch Brothers hit the crowd with the driving "Three Dots and a Dash" a new song from All Ashore which was released July 20, 2018. Their two night engagement at the Ryman in some ways was a CD release party for the record. The quintet will be touring in support of their latest for much of 2018. The new platter is their first self-produced CD and is about "living in this particular moment." As Chris Thile expounds, the album is "a meditation on committed relationships in the present day, particularly in the present climate." He continues, "We were hoping to create something that would be convincing as a complete thought, in this case as a nine-movement, or nine-piece, thought. Though it's rangy in what it's talking about, and in the characters who are doing the talking..."
As the Punch Brothers travel around they will be offering Big Time Friend Packages which included preshow activities such as Q&As along with additional goodies. Other highlights from All Ashore featured "Jumbo", the flavorful and fun "Jungle Bird" and the tasteful title track. Along with new tunes there were nods to their other studio albums with the familiar "Familiarity" and later a layered "Little Lights." During the encore they moved to the edge of the stage to test the acoustics of the room without amplification. With a little effort their heavenly harmonies could be heard as they brought their career-spanning concert to a conclusion. 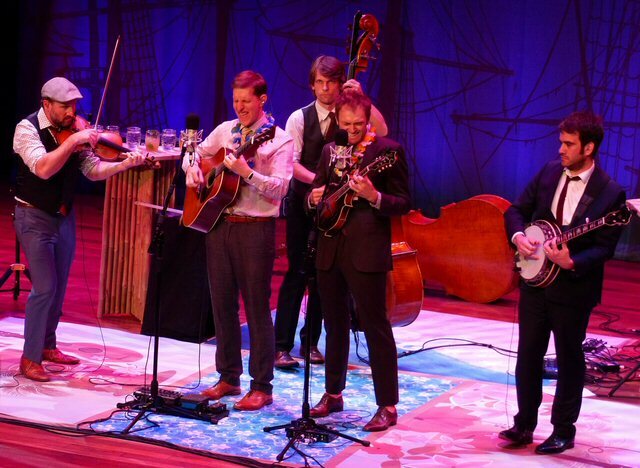 The Punch Brothers entertained at their big two-night stand at the Ryman. 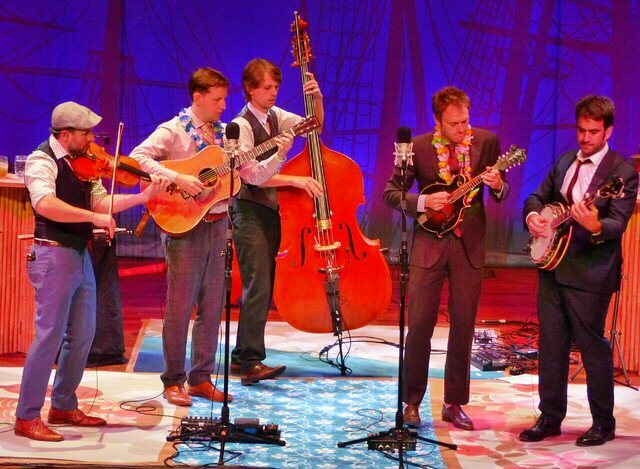 Since 2006, the Punch Brothers have been intriguing fans with their unique brew of bluegrass. The band is armed with the traditional instruments and they frequently trade off leads as is the custom in the genre but they mix in elements of classical, prog and more. They can pick furiously or deliver complex compositions with oomph that defy definition but the Punch Brothers are definitely worth a listen as their experimental music packs a punch. The Ryman Auditorium aka the Mother Church of Country Music continues to present a wide range of artists such as the Punch Brothers with Madison Cunningham. Upcoming events at the well-respected venue include O.A.R., Ricky Skaggs, Anita Baker, Mark O'Conner Band and Dave Barnes. In December of 2018, Vince Gill along with Amy Grant will perform 12 Nights of Christmas. The Punch Brothers served up the music and cocktail recommendations.